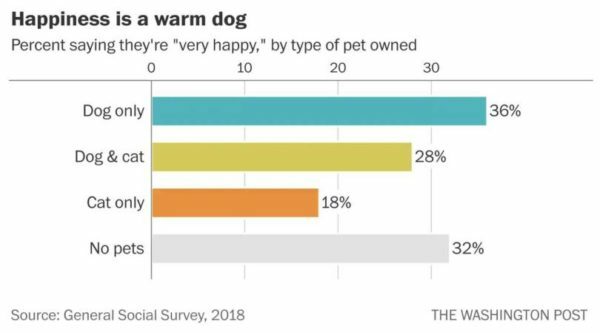 Are Dog People Really Happier Than Feline Folks? 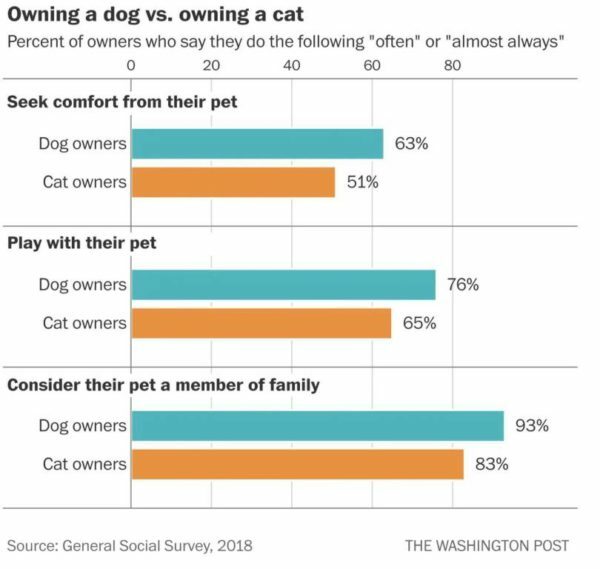 As reported in The Washington Post, in 2018, the General Social Survey included a battery of questions on pet ownership. The findings quantified the nation’s pet population – nearly 6 in 10 households have at least one – and made it possible to see how pet ownership overlaps with all sorts of factors of interest to social scientists. Wacky survey, Max! Having cats is the bestest thing in the world…did they ask that question? What an interesting survey. I’m with Hemingway with the emotional thing, and that is maybe the true difference between Cat humans and dog humans— being able to deal with that. As with all stats. and as written above, these things are not as cut and dried as they seem and so many variables to allow for. At the end of the day, I think those that love cats and those that love dogs are really into their relationships and that is good.